On 3rd April 2017, the BSA Postgraduate Forum hosted our annual Pre-Conference Postgraduate Day at Manchester University. In this blog post, delegate Emmaleena Käkelä outlines the highlights of the day. 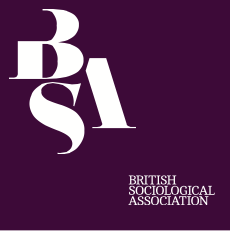 On my first PhD supervision meeting, I was encouraged by my supervisor to submit an abstract to the BSA conference on the piece of MSc research I had completed a month before. It sounded like a good idea at the time – however, after I was accepted and April was coming closer, I started doubting what I had got myself into. I had never presented anything, let alone attended a conference! I wasn’t sure what to expect, or how my work would be received. I was hoping that attending the postgraduate pre-conference day would ease me into the conference, but it turned out to do a whole lot more than that. The pre-conference day brought together postgraduates from all over the UK. Many whom were sociologists, but also students from related fields like I was. Some were just heading towards their PhD and were in the process of finishing their Masters, others were almost at the end of the journey writing up their thesis. I’m sure many PhD students share my experience of feeling isolated at times. Whilst working on our own projects is exciting, the way PhD programmes are structured rarely provides many opportunities for us to engage with other students. Our faculty encourages us to spend time in the graduate school kitchen, but sometimes that’s just not enough. The day gave me an opportunity to connect with other postgraduates, hear about their research and engage in interesting conversations regardless of our different fields of study. Although my own research focuses on Female Genital Cutting, I found my work shared similar themes with people researching very different things as I was, from gay relationships to friendship and dementia. We also got talking about our personal experiences of doing a PhD, supervision relationships and our workspace dynamics. These conversations were a good reminder that it is not just our academic abilities, but also the people we work with and the spaces that we use which play a big part in what the end result is going to look like. This years’ pre-conference day theme was “Personal troubles, collective solutions: how can new academics work together for a better future?” which was reflected in all talks and activities on the day. We started our morning with a talk from Res-Sisters, who are a feminist collective of early career researchers. Res-Sisters spoke about the importance of challenging inequalities and supporting silenced voices to be heard. No matter what stage of their PhD journey they were at, people across the room could relate Res-Sisters focus on issues around isolation, lack of diversity and need for solidarity. Particularly what struck me was the idea that in challenging neoliberal academy, “kindness becomes an act of resistance”. After the talk Res-Sisters ran a zine-making session, which prompted each group to discuss their personal experiences and the challenges they had experienced in academia, and then build a collage page to reflect their stories. At the end, all our pages were put together as a one ‘zine’, which communicated the diversity of our experiences and troubles in the academia. Although I do not often admit it, more often than not seeing “creative exercises” and “ice-breakers” on event programmes gives me heebie-jeebies. I love discussion, but I am not a fan of the seemingly forced platforms for it. However, zine-making was something completely different than what I had come across before. Making a zine together prompted our table to discuss the ways in which working-class women come to occupy multiple spaces and simultaneously, no spaces at all. People around the table shared their experiences of feeling out-of-place for having become “too posh” to fit in with their working-class families and neighbourhoods, whilst simultaneously being told they were “so lucky’” for getting into university from non-academic backgrounds. From this we came up with this idea of “no[wo]mansland”, reflecting all of our intersecting experiences and views of being in academia. Discussing about the troubles we had experienced in this liminal space between our homes and academia, zine-making was truly engaging, providing us with an opportunity to find solidarity despite of our different disciplines and pathways. In our graduate school, me and many of my peers talk a lot about how we should write and publish articles. We talk about putting together writing groups and putting time aside for writing. However, far too often we find ourselves doing everything but writing the articles we keep talking so much about. The pressure to publish is constantly looming in the back of our minds, but after attending so many discouraging sessions which tell us about how difficult it is to write a good paper, even the thought of starting to write feels stressful. Pat’s talk was encouraging but also reflective of the realities of publishing. She gave us answers to questions about how, where and with who to publish. We also discussed supervisor’s demands for co-authorship and how to negotiate the ownership of our work. I find myself going to the library less and less. With journal articles so readily available, it is easy to neglect books. Whilst I am nowhere near writing one, Pat’s talk was a useful reminder that sometimes you need to get away from your desk and venture between the shelves to find what you are looking for. After listening both Pat and Res-Sisters I have become more active in looking for that balance between productivity and self-care. Negotiating (and sometimes resisting) the pressures in academia is something which is not necessarily talked about in many graduate schools. Before attending the postgraduate day I had only come across the two extremes; in one end the intense competitiveness and pressure to produce, and on the other, the discouraging talk about the PhD as “just another exam”, or as a research that should not strive to “bring peace to Middle East”. What I took out of the postgraduate day was a realisation that in order to finish your PhD, it is encouraged (and often necessary) to be ambitious and aspire change through your research, whilst still negotiating the neoliberal academy and confronting inequalities within and out with our institutions. Moving from very particular personal challenges to reflecting academia even more broadly, Professor Kalwant Bhobal gave the second keynote of the day. She discussed racial inequalities within academia, presenting us with a rather stark reality of diversity particularly in senior positions, where only 7.7 % of UK professors belong to Black minority ethnic groups. There is something striking about how much of the work social scientists do revolves around inequalities, and how little still we talk about them within our own institutions. BSA Postgraduate day was all about sharing and finding solutions to the range challenges we face in academia as postgraduates, women, working-class, mothers, people of colour… All talks and activities of the day were focusing on the issues of underrepresentation and not being heard in relation to ourselves and the wider academia. It was a day of conscious-raising, sharing and learning. Although we discussed about many of concerning issues, the day was also very much about creating a welcoming space for finding solidarity, making connections and easing us into the conference. It’s been month and a half since I attended, and I have already signed up for another conference, got over my fears of starting an article and looked further into zines as a method for engagement and research. I will definitely attend again next year – hopefully I will see you there! Число успешных сделок более 68%! Пока проходит тестирование, программа полностью безвозмездна для всех!